Q & A with author Peter Riva! I was born in Manhattan in 1950 – a time of wonderful scientific discovery in America – exciting new cars every September, the race to space ramping up, computers (with punch cards!) all the rage to be marveled at and, never least, the Hayden Planetarium. I liked the complexity of the projector and the operator’s panel as much as the show. I loved writing stories – the story was the thing, the freedom of imagination unleashed. You sort of had to be there, the ‘50s, Spiderman comic’s 1st issue, Magnus the Robot Hunter, The Twilight Zone… imagination run rampant. So, yes, it was easy to believe in, imagine, possibilities. I am a literary agent, some 40+ years licensing. I read maybe the equivalent of 2 books a week, most of it not suitable for publication, but always people’s fresh ideas and hopes. A comment from my son Sean made me stop and think. “Dad, you have had all these experiences, learned so much, where are you recording it?” So I simply started writing, for myself really. Then rewriting and rewriting – the real job of an author, until it was presentable. Then absorbing comments and questions and, you guessed it, rewriting again. Each book takes about 6 weeks of solid work, spread over time. To be published the books needed to adhere to professional publication criteria – although in today’s world maybe those criteria are eroding. It is a time for rejuvenation in publishing, like the first Spiderman comic of the ‘50s, maybe there is room for a new beginning. You show your day job of more than 40 years is as a literary agent and yet list working for 30 years with leaders in aerospace and space exploration. Please share about this second career. What was your work with leaders in this industry and how did you fit this work into your already busy schedule? Oh, that’s a long story involving having a patient wife and family as I spent many months away, and still work normally more than 60 hours a week. Hard for them, I will admit. In 1983 a great man Ansel Adams explained form and emotion in photography to me. I asked him why, then, do astronauts take such interesting subject matter but it is always devoid of emotion. He agreed that was not a human trait, perhaps an anomaly. I then contacted NASA personnel through various contacts and talked to the flight film people who had been there since the Mercury program. To cut a long story short, we discovered that most of the hand-held flight footage was in a freezer, never seen by anyone once the single NASA written shooting-script shot had been selected for printing. The rest of each roll – and that was 175,000 images up to 1984! – had never been seen. Working with astronauts, and Sen. Kennedy, we changed that procedure at NASA, unfroze the flight footage and curated the unseen images down to 2,200 wonderful “art” shots – full of human emotion and artistic meaningful form. The exhibit opened at the Air & Space Museum in 1985. That program also exposed me to Mark Greenberg a LIFE photographer who was taking shots of the VOYAGER world flight program in Mojave. By 1985 I was managing that program in most ways, fund raising, PR, personnel selection, program management, sweeping the floor – all the while still being a literary agent. That program made us work with Allied Signal, Mobil, Lockheed Martin, the Air Force, and a host of other aviation powers – many of whom I still maintain contact with. When VOYAGER was successful in 1986, meeting with the President at Christmas was a milestone for me. VOYAGER is still, today, the ONLY atmospheric trans-global flight – passing the equator twice. No one has ever done that again. Distance? Sure, they learned from us. Around the globe? Nope. After that I worked for two years with NCAR and UCAR on the External Tanks Project, trying to get NASA to leave the External Tanks in space and not ditch them in the ocean. Had that been successful we would now have 16 or more giant islands in orbit, ready for habitation. In 1990 I brought 40 Astronauts and Cosmonauts to the United Nations for a show and tell to the delegates on the real dangers to this planet. I arranged for the first ever live broadcast from the MIR space station into the Assembly and co-negotiated the first environmental treaty between the USA and USSR: The ONLY ONE EARTH Treaty – witnessed by all the spacefarers. Most authors write in one genre. While you do stay in the fiction category, you move easily between very technical Science Fiction and fiction stories set in Africa. What challenges do you face as you move between the different genres? What are the benefits? I think the issue facing me is common to all authors… it is sort of like the difference between swimming at the beach or in a lake. Both require the same basic skill set but the joy of one is not a competition to the other – each has its own special joys and fears, challenges and victories. In me, because of my varied life and experiences, I have all these stories, all these events that I witnessed, that can be brought to bear on the story I want to allow to unfold – and perhaps that is the key. I am not dictating a story, but allowing experiences and knowledge to guide the story to a conclusion I hope is entertaining, page-turning and, above all, informationally satisfying. It is important to share. My life has been full, so sharing is an additional pleasure. The world ceases to exist when I am writing, it is the ultimate escapism. The only chore part is the feeling of sheer stupidity that occurs when you are rewriting and spot typos, poor grammar or when someone gets confused or “lost” when reading a passage. It hurts, I cannot pretend it doesn’t – but fixing the problem is part of writing. As Hemingway said, “Writing is re-writing.” Who the hell am I to argue with him? 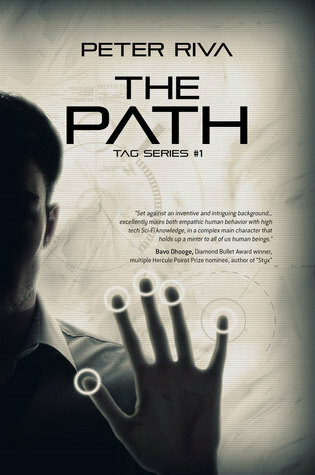 What inspired the story line in The Path? The main characters? I have an above average understanding of computers, and the reality of where they are going was imparted to me at NCAR by Walter Orr Roberts during the External Tanks Project. I learned about the Cray supercomputers they had then and the newest memory inventions – and he postulated where things were going – even the possibility of AI. I carried around that information in my head until – having fermented, I suppose, other life experiences – I had a story to start to tell, to allow to unfold. Now, I have to say, that the first person in this book was tricky because I needed to have the slightly Monty Python-esque tone of the protagonist in order for the reader to really see he was not a hero as much as the right guy in the wrong place (or the other way around – the story does evolve) – and also to make it all slightly farcical that he was the one who first speaks to the AI. And what would a man who does not take himself too seriously do? Take the safe route, without egomaniacal ambition, and invoke the Path. What kind of research was required to create the computer run scenario seen in the world created here? Well, as a teen, I built Heathkit electronic oscilloscopes and hi-fi’s and then started at 17 learning Algol at school – all of which I have forgotten! – and learned Basic in 1984 to try and get on board the PC revolution. I always hated Apple – it’s their way or the highway (sort of fascist to me) – I prefer being able to make the machine do what I need or want it to do… the main change to the computer design in the story was that I changed the FAT from File Allocation Table to File Action Table, because I wanted the table to be mutate-able, changeable. Just a bit. Anyone who has built a computer or circuit board sees computers as a structure, mentally mapping out where the electrons go in the mind’s eye. I just used that to pretend to be able to actually travel around the inside of Apollo’s circuitry and programming. How did your fascination with Africa develop? Have you traveled there frequently? I first went to Africa in 1966, aged 16. At the time the fascination was mainly as a result of being a kid in Manhattan and having access to the dioramas at the Natural History Museum – all those stuffed animals and lifelike vistas of the Africa that Teddy Roosevelt had brought back home. They enthralled me. Still do. Don’t discount their importance to conservation – they make you admire and want to preserve the last vestiges of wildlife. 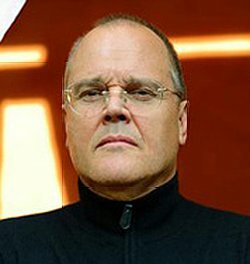 In 1985 a client, Peter Beard, had become embroiled in a land confiscation scheme against him by powerful upper-level corrupt officials and their offspring. Jackie Onassis, I. and the French Cultural Ministry were trying to stop their land grab – a land grab almost made possible by false accusations against beard. In the end, the US State Dept. intervened, a non-corrupt judge was appointed and the police’s main witness arrested (never charged, of course). Mbuno was a legendary African safari guide, to hunters and later hunters with cameras living on Hog Ranch within his wife. He was Liangulu (of the Liangulu – Waliangulu) as were his ancestors before him. Mbuno and I spent a few weeks together, trekking in the bush, mainly with me listening, getting to know him, and his history and that of his people while we waited out the authorities to stop the persecution of Beard. Over the next 20+ years or so I came back regularly on business, filming an ABC special, a car commercial for Peugeot and later a series for Paramount TV (78 1-hour wildlife episodes). So much of the book is torn from those experiences. 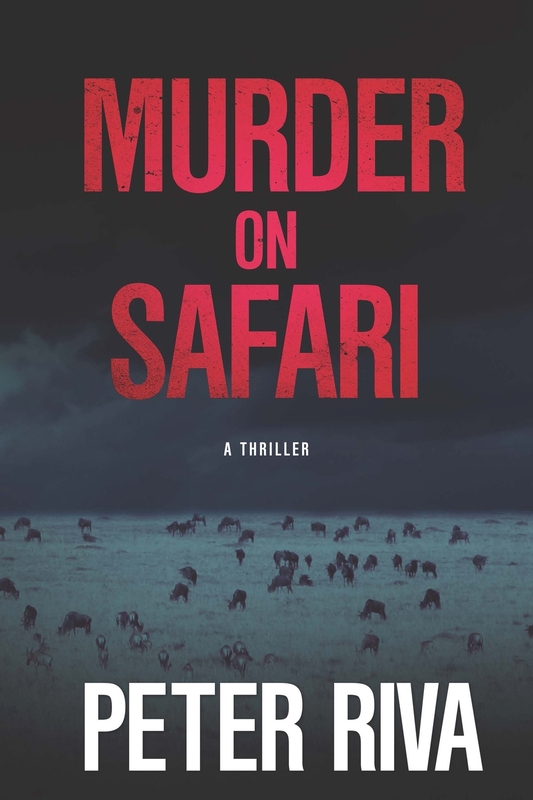 What inspired the story line in your book Murder on Safari? The main characters? What research was required to help you bring to life the chaos of the airport, the feel of the countryside, the greasing of palms needed to deal with problems and the dangers that can arise. Well, all of that is real. 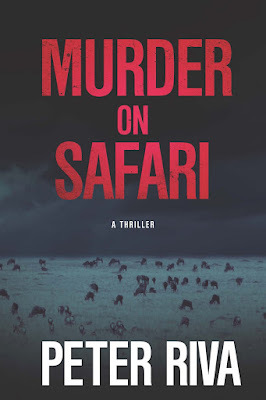 I lived it, I dealt with it as a producer and, I can assure you, when you are out there on remote safari, your whole world can be taken apart pretty quickly. The airport was especially fun to write. Wilson Airport is really the most exciting place. And the history there, amazing, you can almost feel the spirit of Hemingway, Holden and others. As for the international airport… a friend and I once went to the airport to watch Concorde land. It was on an around-the-world tour, stopping one or two nights in far-distan5t places. The passengers had all paid $80,000 for the trip of a lifetime. We watched the people alight and then two ambulance men and several police went running up the stairs and, moments later, they brought a woman down in a stretcher for her overnight. She was screaming “I want to go home, I don’t want to be here…” One whiff of the E. African air had brought back primordial memories and she panicked. Think that was unique? Sydney Pollack, the director of Out Of Africa had the same thing happen while we were there observing the shoot with Iman. They had to put air scrubbers in his hotel room, fly his food in from Paris daily, and, the whole while he was in Africa, he never could bring himself to shake anyone’s hand – including it was rumored the President’s! It is exactly that primordial trigger, deep within the psyche that enthralls, scares and attunes one’s senses in E. Africa. Can you still find it? Not really any more in the East (although parts are still great! ), it has mostly been sanitized to a degree (some would say thankfully so) with open-air zoos called wildlife parks – but Namibia is still truly wild – you should go! Any advice for young authors wanting to write in this very technical genre? HAVE FUN! No really, have fun. The research you will need to undertake is the voyage, the sheer pleasure of learning is always a joy. If you do not enjoy learning, why would anyone be interested in what you write? Your enjoyment must be the only reason you want to write – not a career, not money (certainly not) – but the joy of the voyage of discovery and plot and wordsmithing and sharing. The tricky part is in sharing, allowing others to feast, fully, on your vision, your experiences brought to life. Be generous. Generosity is art, pure and simple. If you do not give, do not share fully, you are creating rubbish. And there is a maxim: If you can imagine it, it IS possible (that is, your brain is incapable of imagining anything that is not possible).